When selecting a color or polymer roofing profile for your home, you will want to make sure it matches the style of the home. It is important to remember that all of your colors and materials should support your home’s style and architecture, not vice versa. In order to do this you don’t have to know every style of home. You just have to know the style of your home. 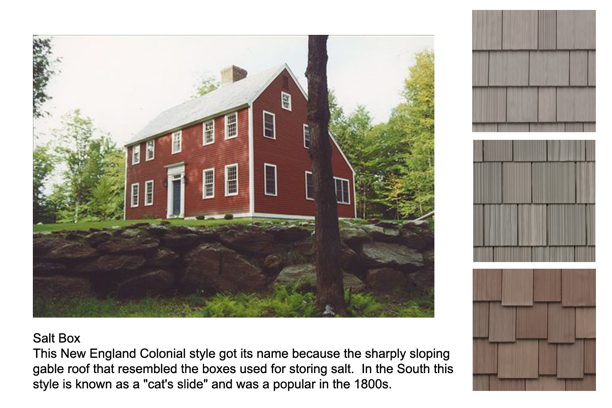 These are some common styles found across the U.S.
See how easy it is to let history inspire your choice of a lightweight roofing solutions today? Now it’s your turn. 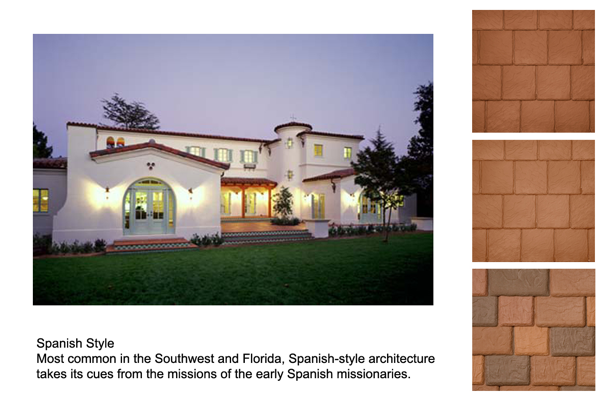 Find the DaVinci Roofscapes polymer roof tile to give your home a classic style. Not sure about color? 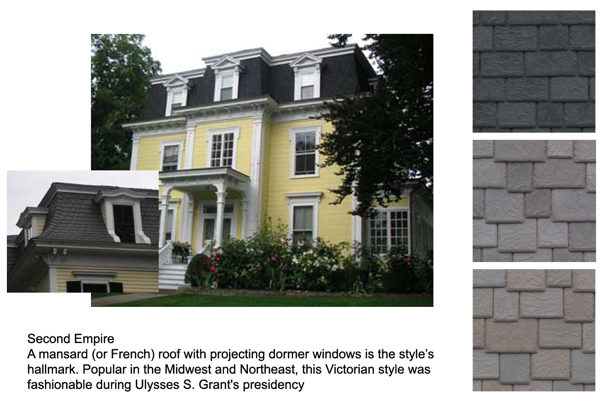 Download copy of my free color guide FRESH Home Exterior Colors: 5 Steps for Finding the Perfect Hues for Your Home. This step-by-step guide shows you exactly what you need to know in order to create a cohesive look and achieve maximum curb appeal.